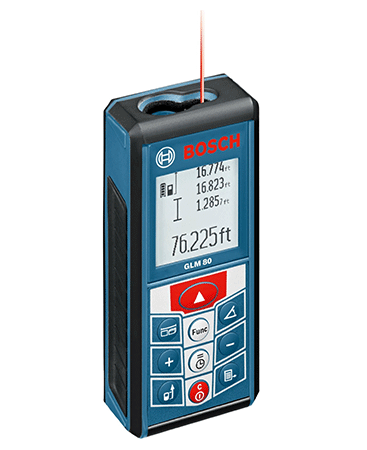 Measurement has entered the 21st century with the laser measurement tool. In the old days, you’d have to use stakes, measuring sticks, tape measures, and chalk in order to be as precise as possible. There are few things more precise than lasers, so this evolution of the measurement tool has provided amazingly accurate measurements for people doing work on sites and in their homes. 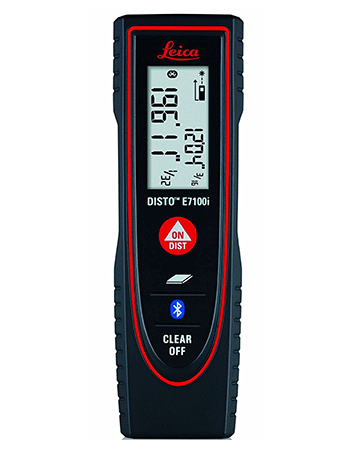 Our first laser distance measure is from Leica Disto, a company that appears quite a few times in this guide due to its quality leaser distance measures. 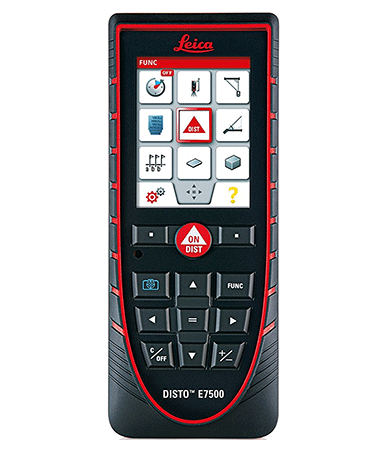 One of the best features of the Leica Disto E7500 is its crystal clear color screen. It’s very easy to see what is being displayed on this screen due to its simplified and large number display. 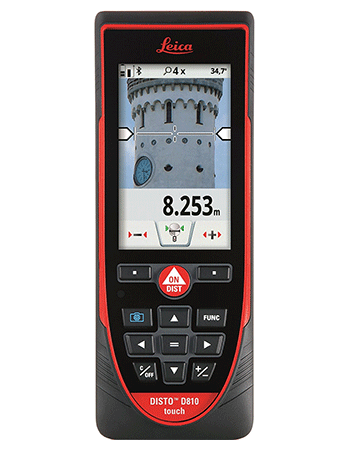 It also has a 360 degree tilt sensor so that you can quickly and easily measure angles and horizontal distances. 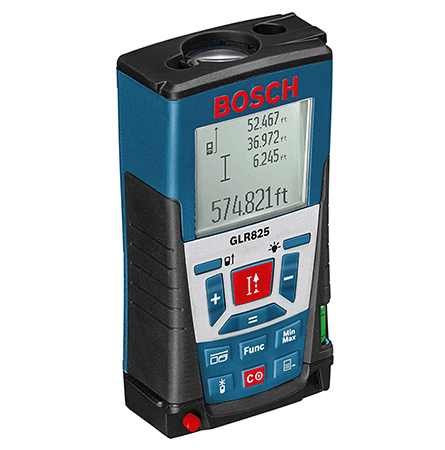 There are few worksite-friendly manufacturers that are as well known as Bosch. 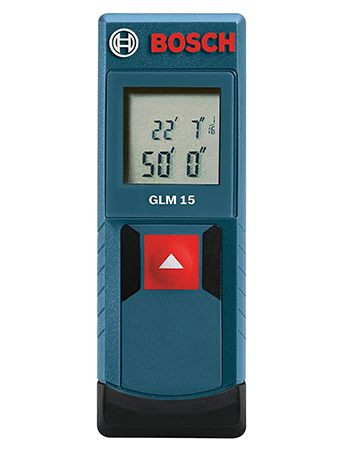 The GLM 10 is designed with a simple one-button operation in mind. 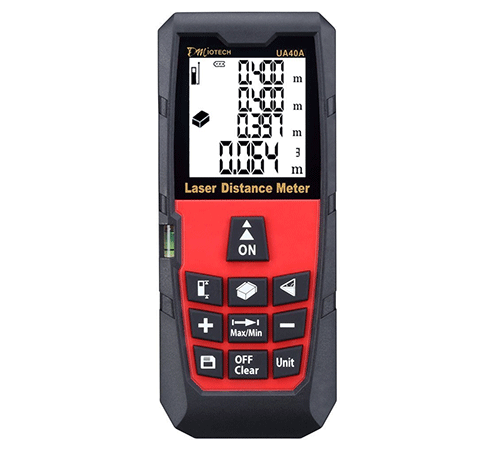 Despite this simplicity, there is a good range of function in this very portable laser measurement device. It can measure up to 35 feet and is accurate to within a eighth of an inch. Fits easily in a pocket or in a pouch. 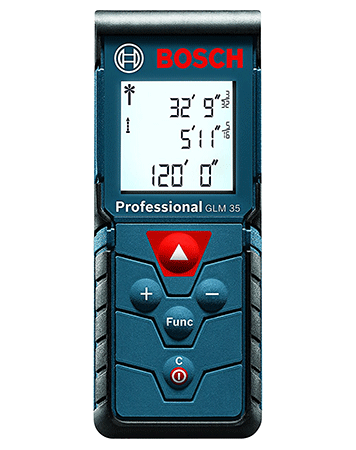 Its continuous measurement mode is very accurate.• The display is somewhat easy to read. 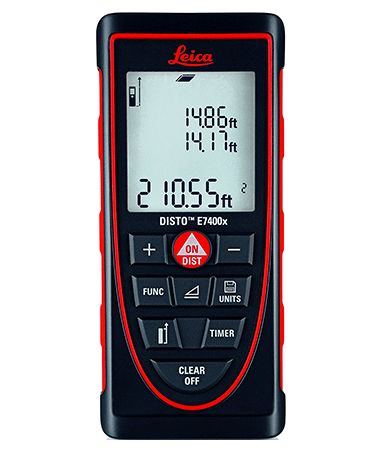 Our second Leica Disto product has an impressive measuring range of 200 feet. In addition to this, it also comes with Bluetooth connectivity so that you can receive updates on your smartphone. The software for transfer of information is very flexible, which is perfect when new apps become available. 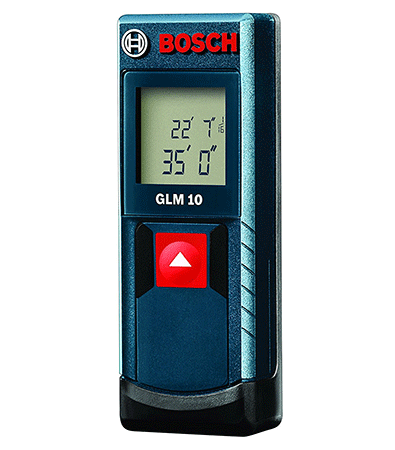 Additionally, the distance measure is also dust and splash-proof. 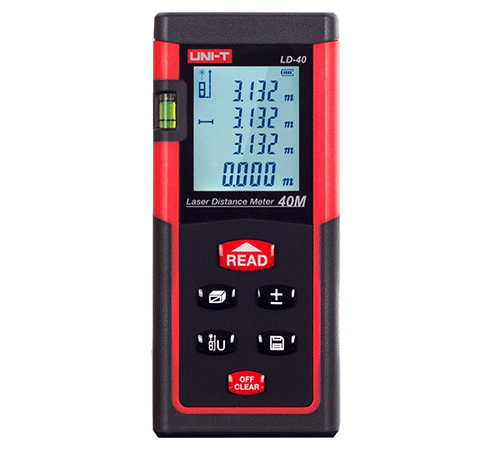 If you find yourself in a low of low-light situations, the Autodoctor Laser Distance Measurer might be the perfect device for your measurement needs. Its backlight is definitely bright enough to be useable in almost any situation and it also has a very portable form factor that will let it be taken with you in a tool pouch or pocket. It has a 230 foot range. It keeps a steady accuracy of 2mm, which is great over extensive ranges. 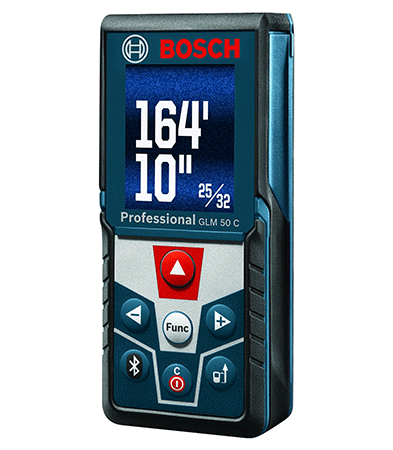 This Bosch product has a significant range of 265 feet, which is perfect for most job situations. The buttons are durable and have a very responsive feel that provides some tactile response when in use. This device also has a great battery; it can take 25,000 measurements on a single charge. This product has a backlit display that’s fairly bright. 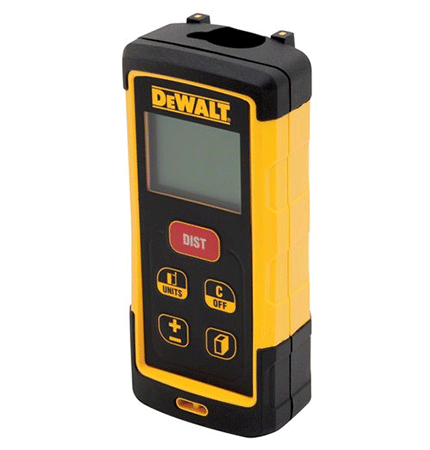 With an accuracy of 1/16th of an inch, you’ll have some precise measurements with this product. 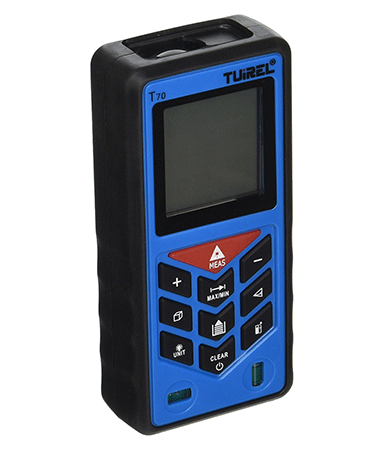 It has a tilt sensor that allows for indirect measurements that are very accurate. This product is another compact unit with a wide variety of professional-grade features. First amongst these is its ability to constantly update the range of the target until you lock it in with a button press. Its small size means that this is a great product for at-home work. It’s pretty accurate for a small unit; it has an accuracy of 1/8th of an inch. It’s small enough to be used with one hand, which is great because it has a one-button operation. 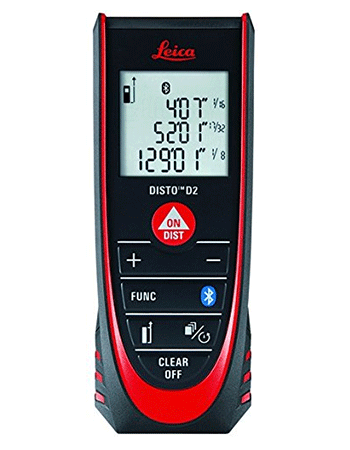 The Leica Distro has the ability to reach well over 600 feet, which is the highest range in this guide. This extended range makes this perfect for those who are working on larger personal projects or who are using this as a professional measurement tool. Since it’s impossible to see this far with the naked eye, the product also has a 4x zoom digital camera that can help you accurately measure. This is a professional-grade device with an extremely long range of 660 feet. This is a very accurate product that is precise to a degree of 1/16th of an inch.